The Pentagon said Monday it would extend until September 30 the deployment of active-duty soldiers and Coast Guard members at the US-Mexico border, while expanding the mission to include surveillance and detection. 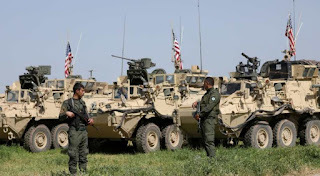 Lengthening the troops' mission past a January 31 deadline, the Pentagon said it was "transitioning its support at the southwestern border from hardening ports of entry to mobile surveillance and detection, as well as concertina wire emplacement between ports of entry." "DoD will continue to provide aviation support," the statement added, referring to the Department of Defense. The Pentagon already has about 2,350 active-duty troops stationed along the boundary, deployed under a controversial order President Donald Trump gave last year before midterm elections in November as several thousand Central American migrants made their way to the border to seek asylum from violence and poverty in their own countries. Critics decried Trump's order as a costly political stunt to galvanize supporters ahead of the vote, in which his Republicans lost control of the House of Representatives. Trump spoke of a "national emergency" and an "invasion" -- initially suggesting US troops could shoot migrants if they threw stones at the US border. The US military is not allowed in almost any case to get involved in domestic law enforcement and the border mission has put the supposedly non-political military in an uncomfortable spotlight. About 2,200 National Guardsmen were supporting border operations even before Trump sent the active-duty troops. The unusual deployment was supposed to end in mid-December, but the Department of Homeland Security asked that it be extended until January, a date which is now further prolonged. The troops' role had primarily been to erect miles of concertina-wire fencing along popular crossing points. Trump is unwavering in his demand for a border barrier, which has triggered a major impasse with legislators and a partial government shutdown that is entering its fourth week. The president only recently backed away from talk of an emergency declaration that would have freed up Department of Defense funds for a border barrier, after pressing it for days as a way out of the continuing budget standoff. 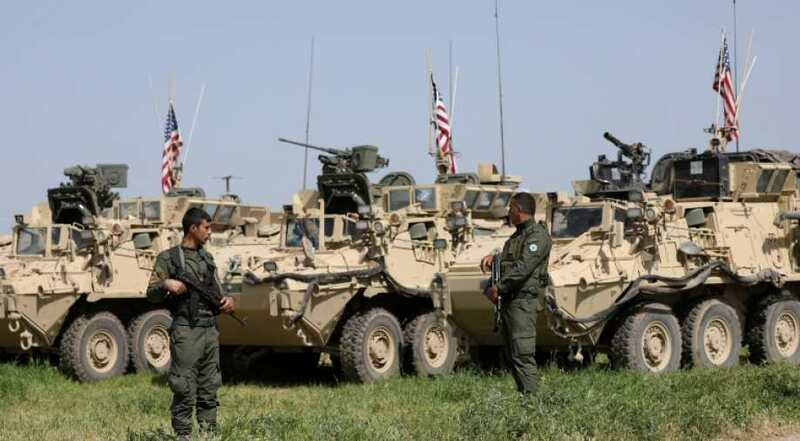 The troop deployment was one of several issues on which Trump and former Secretary of Defense Jim Mattis disagreed before he resigned in December after the leader's shock decision to pull troops from Syria. Mattis said front-line border troops would only carry batons. In November visited troops on the border and reiterated that their job in the short term was to assist under-resourced Customs and Border Protection agents and put up physical obstacles. But "longer term, it's somewhat to be determined," he said at the time. Some rank-and-file troops initially grumbled about the purpose of the mission to US media before they were placed under strict instructions not to voice personal opinions to the press. Twice since November, US Border Patrol agents have fired tear gas during attempted mass migrant crossings in the San Diego area.